Lap-Lap means biji-biji, literally. It means all ingredients in this dish are chopped / cubed / diced. I love this dish so much that I'm looking forward to it every Chinese New Year eve. 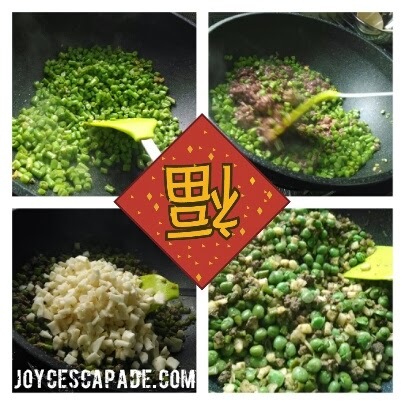 Ingredients: Long beans (chopped into small cubes), chicken liver (cut into small pieces), water chestnut (peeled and cubed), green peas (drained). 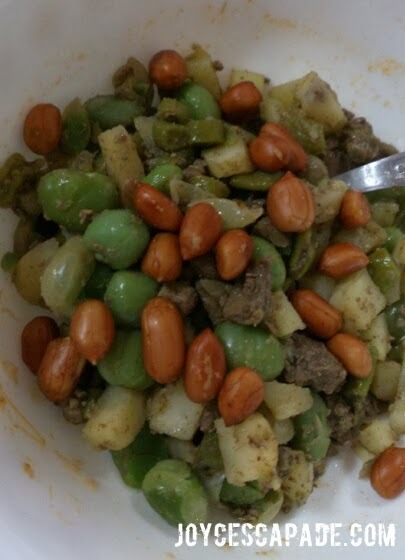 Before eating, add groundnuts. Then, scoop a spoonful of lap-lap onto fresh lettuce leaves, wrap and eat! Blogged about lap-lap in 2011. Bubur Chacha, my latest milk booster. 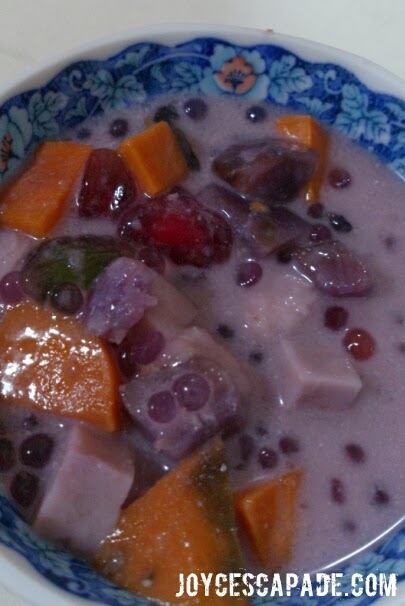 Ingredients: Sago (cooked till transparent), sweet potatoes (both orange and purple variants, skinned, cubed, and steamed), yam (skinned, cubed, and steamed), tapioca blobs (green and red, cooked till transparent), coconut milk. The sweet potatoes and yam are steamed so that they don't disintegrate from boiling. The hardest part is cooking the sago until all tiny balls turn transparent. Use a non-stick pan and keep stirring to avoid clumping. Same goes to the tapioca blobs. Boil water, then add sugar. Then, add in sweet potatoes, yam, sago, and tapioca blobs. Coconut milk goes in last. Turn off fire when boiling has started. This is to prevent pecah minyak (forming of oil layer from coconut milk).